A water removal pump is a pump used to discharge the liquid in a pool or a large reservoir. The working principle of a centrifugal submersible dewatering pump is: depending on the rotating impeller, the liquid obtains energy under the action of the inertial centrifugal force to increase the pressure. The pump body and inlet pipe must be filled with water to prevent cavitation before work. When the impeller turns quickly, the blade causes the water to spin very quickly, and the spinning water flies away from the impeller under the action of centrifugal force. When the water in the pump is thrown, the center of the impeller forms a vacuum area. The water is compressed into the water pipe through the pipe network under the action of atmospheric pressure (or water pressure). This will allow the continuous pumping of water. It is worth mentioning here that: the centrifugal pump must be filled with water before starting, otherwise, it will cause the heat of the pump body, lead to the vibration, water yield reducing, and damages to the pumps, (hereinafter referred to as "cavitation") and cause equipment accident! The so-called cavitation refers to that when the centrifugal drain water pump is started, the air in the pump is very low because of the low density of air. Therefore, the low pressure formed in the center of the impeller is not enough to pump the liquid level lower than the liquid suction pump. The industrial water pump is basically multi-stage pumps, such as the backflush pump of Qinshan power plant. It is also a water removal suction pump. Before running this pump, make sure to manually drive a few laps to prevent the running of the rubber bearings inside. There must be some air in it, and the water in the shaft can run after the water is filled. Otherwise, if there is no water eraser, the bearing will burn off quickly. The drainage pumps used in the building include water discharge pumps, drainage pumps, vertical sewage pumps and horizontal sewage pumps. Since the general site of the building is small and the displacement is small, the drainage pump can be preferred to adopt the submersible sewage pump and drainage pump. The liquid electric water removal pump is generally used in important places. The vertical sewage pumps and horizontal sewage pumps are required to set up the vibration isolation foundation, self-irrigation water absorption, and occupy a certain area, so it is less used in architecture. The discharge of the water removal pump shall be selected according to the second flow rate of life drainage; When there is water displacement adjustment, the maximum flow rate of water can be selected. Water pump discharge in fire elevator collecting tank is not less than 10 L/s. The lift of the water pumps for water removal is determined by lifting height and pipeline loss calculation, and then additional free water head is attached. Free water head should use 0.02 ~ 0.03 MPa. The discharge pipe and outlet water flow rate should not be less than 0.7 m/s and should not be greater than 2.0 m/s. The public buildings should set up a spare pump for each of the water drainage pools, which should be operated in a normal way. The drainage of the basement, the equipment room, and the garage washing surface, if there are two or more than two water removal pumps, the standby pump cannot be set up. The water pump shall have uninterrupted power supply when the pool is unable to set up the accident drainpipe. When the water inlet can be closed, it is not equipped with continuous power supply, but the alarm device should be set. When the pollution and wastewater with large impurities are raised, the water pipes in different pools should not be merged. When upgrading general effluent, it can be considered as the actual situation to consider the water removal pump of different pools. When two or more pumps share a water pipe, valves and check valves shall be installed on each pump outlet. The check valve shall be set when the single pump discharge can produce reverse irrigation. No pressure and drainage will be allowed to merge with the gravity drainage pipe in the building. 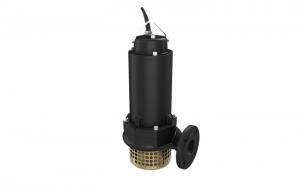 When the submersible sewage pump has a large chunk of debris, the diving pump should carry the crushing device. 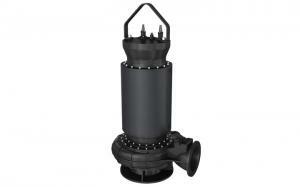 It is advisable to use the large channel diving pump when improving the sewage with more fiber. When the motor power of the swimming pool water removal pump is greater than or equal to 7.5 kW or the outlet pipe diameter is greater than or equal to DN100, the drain water pump can be used to fix the auto-coupling device. When the motor power of the submersible sewage pump motor is less than 7.5 kw or the outlet pipe diameter less than DN100, a hose mobile installation can be installed. The water discharge pump shall be equipped with a self-coupling device to facilitate the repair of the water pump. 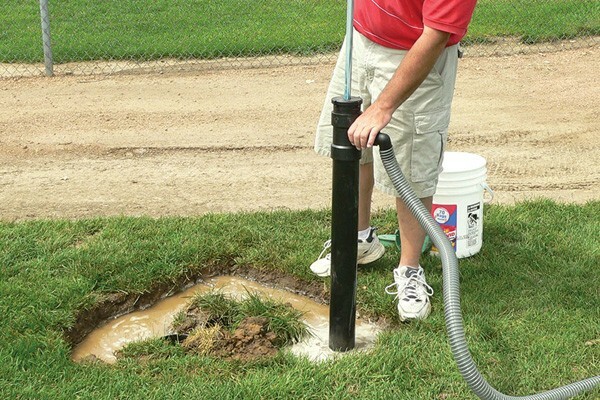 The water removal suction pump should be able to automatically stop and the site manually stop. Multiple pumps can be run in parallel and can be run in sections. 1. No water supply after startup: air or water intake in the pump, or water supply in the pump, or water supply of the bottom valve shall be disaffected, the vacuum pump packing will be in serious leakage, the gate valve or the clap door shall be closed. Solution: remove debris, replace damaged rubber pad and change valve direction; Press or replace the new packing, close the gate valve or tap the door; Increase irrigation until the air screw is not bubbling; Replace cracked pipes; Lower the lift and push the nozzle of the pump down to 0.5 m.
2. The pump does not rotate when starting: the packing is too tight or the impeller is stuck between the pump body, or the pump shaft, the bearing, the leakage ring rust, or the pump shaft is badly bent. Solution: loosen packing, dredge the sink; Disassemble the pump body to remove debris and rust; Remove pump shaft correction or replace the new pump shaft. 3. Damage to the heating bearing of the pump: the clearance of rolling bearing or bracket cover is too small; Pump shaft bend or two axes different heart; The tape is too tight; Lack of oil or oil; The balance hole in the impeller is blocked, the impeller loses balance and increases the thrust to one side. Solution: replace the bearing; Remove the back cover and add a spacer between bracket and bearing seat; The concentricity of adjusting pump shaft or adjusting two axes; Tighten the belt-tightening properly; Add clean butter and butter accounts for 60% of the space in the bearing. Remove the plug in the balance hole. 4. Insufficient flow after start-up: the speed is not matched or the belt is skidded, so that the speed is low; The blade of Axial flow pump's installation Angle is too small; Lack of lift; High suction stroke; Partial blockage or impeller defect of valve, pipeline and impeller; The leakage of water pipes is serious. Solution: restore the rated speed, remove the belt scale, adjust the belt tightness; Adjust blade Angle and reduce pump mounting position; Seal pump leakage, compaction packing; Remove the blockage and replace the impeller; Replace the drain ring and plug the leak.